Gladys Dorothy Sleet, 95, of Connersville passed away early Friday morning, September 7, 2018, at Heritage House of Connersville where she had been a resident since December 2011. One of nine children of Theodore and Nora Potter Clark, Gladys was born in Hazard, Kentucky on June 18, 1923. On September 25, 1942, Gladys married Mark Sleet in New Castle, Indiana. Mr. Sleet passed away on August 24, 2013. Gladys attended Short High School in Liberty, Indiana. In 1961, she graduated from the Chicago School of Nursing, receiving her P.N. Certificate and later received her Surgical Nurse certification. She was employed at Fayette Memorial Hospital for 25 years as a Surgical Nurse. Following retirement, Gladys worked for Dr. Abou Mazdai in the Outpatient Clinic until 2003. In 1952, Gladys was baptized as one of Jehovah’s Witnesses and loved being a Bible instructor for many years. She was a member of the Society of Surgical Technicians and the American Cancer Society. Gladys enjoyed spending her time with her family. In her leisure, Gladys enjoyed music, especially jazz, and she loved gardening, possessing a very “green” thumb. She had many friends and became “Mama” to many children besides her own. Survivors include her children, Patricia Ann (Stanley) Patton of Rialto, California, Carol Jean Johnson of Connersville, Marka Lynn (Ron) Cave of Windsor, Connecticut; eight grandchildren, Vaughn (Casey) Johnson, Deanne (Timothy) Lee, Cicely Johnson, Micah (Dustin) Wright, Stanya Davis, Shelley Carlson, Brian Baity, and Greg Baity; fifteen great-grandchildren, Cedric, Quinton, Markiah, Tionna, Marvaughn, Dra’Kayle, Jada, Tyra, Jordan, Jackson, Lily, Coryn, Dustin, Jr., Sydney, and Morgan; three great-great-grandchildren, Xander, Kasen, and Lorenzo; a brother, James Franklin “Buddy” Clark; a sister, Shirley Evon Churchman; and many nephews, nieces, cousins, and in-laws. 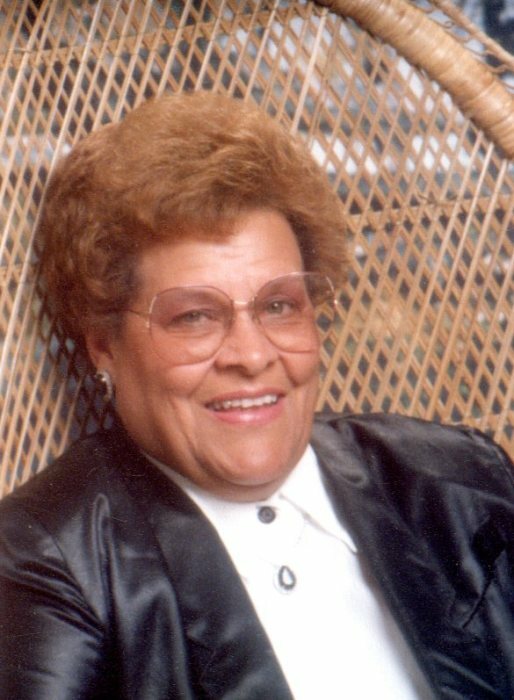 Besides her parents and her husband of 70 years, Gladys was preceded in death by a granddaughter, Kimberly Patton; two brothers, Walter (Junior) “Shorty” Clark and John Wesley “Eddie” Clark; four sisters, Opal Collier, Louise Ware, Joanne Frazier, and Janet Sue Miller. Funeral services will be held at 4:00 p.m on Sunday, September 30, 2018, at Miller, Moster, Robbins Funeral Home, 1704 Grand Avenue, Connersville, Indiana 47331, with visitation two hours prior from 2:00 p.m. until the time of service. A private burial will be held a later date. Memorial donations can be made to the local congregation of Jehovah’s Witnesses or to the worldwide work of Jehovah’s Witnesses at www.jw.org. Online condolences can be made anytime at millermosterrobbins.com.